In 1854, Abraham Lincoln confronted America’s first “pro-choice” Senator, Stephen Douglas, in a speech in Peoria, Illinois. “Choice” then was about slavery, not abortion. Douglas sponsored the Kansas-Nebraska Act, which addressed the sticky question of how to deal with the legality of slavery in new territories entering the union. The Kansas-Nebraska Act resolved this by “choice.” Residents would vote to decide if slavery would be legal in their territory. 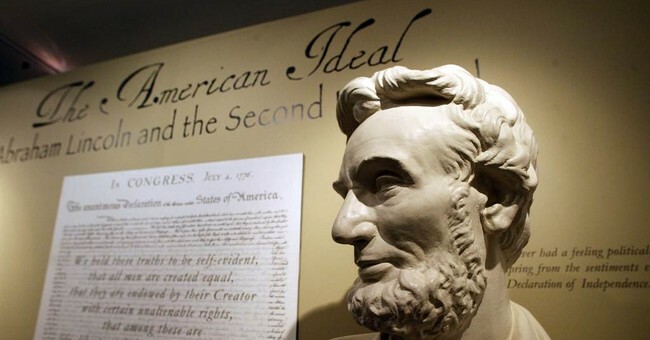 Our constitution, conveyed by the nation’s founders 65 years before Lincoln spoke those words, circumvented the question of slavery, permitting the great paradox of a nation founded on the ideals of freedom, which allowed slavery. The struggle for racial justice in America – whether fighting slavery, or fighting for civil rights - has always been informed by absolute standards of right and wrong, of good and evil, that transcend even the cleverest human mind. Black history is testimony to where we wind up when those standards get lost. Yet, once again, those standards have gotten lost. And, once again, black Americans are bearing the brunt of the cost of a nation that has lost its moral rudder. This time as result of wantonly legal and available abortion. According to the Centers for Disease Control, blacks accounted for 35.4 percent of abortions performed in 2009, despite representing, according to the 2010 census, just 13.6 percent of the US population. Let’s not be deluded that this is an accident. Analysis of 2010 census data by an initiative called Protecting Black Life shows that 79 percent of Planned Parenthood abortion clinics are located in walking distance of minority neighborhoods – 62 percent within 2 miles of primarily black neighborhoods and 64 percent of Hispanic/Latino neighborhoods. Planned Parenthood, the nation’s largest abortion provider, systematically targets minority women for abortion. Before the Civil War, there were church going Americans who rationalized slavery by believing that blacks were less than human. This view was legally formalized in the US Supreme Court’s infamous Dred Scott decision. It is not surprising that our first “pro-choice” Senator, Stephen Douglas, supported the Dred Scott decision. Views echoing Dred Scott help rationalize Planned Parenthood’s targeted destruction of black children in the womb. In 1957, Mike Wallace interviewed Planned Parenthood founder Margaret Sanger, and asked her if she believed in sin. It is a sign of these dismally confused times that it was our first black president, Barack Obama, who, last week, became the first sitting American president to address Planned Parenthood. In his address, the President did not use the word “abortion” once, nor was there a single reference to the current trial and murder charges against Philadelphia abortion Doctor Kermit Gosnell. You’d think he was addressing Ronald McDonald House, not an organization that provided 333,964 abortions last year, disproportionately on black women. Black unemployment and poverty rates are almost double the national averages. I suppose Planned Parenthood, with support from our president, and $542 million in taxpayer funds, feels it is doing its part to solve this problem.